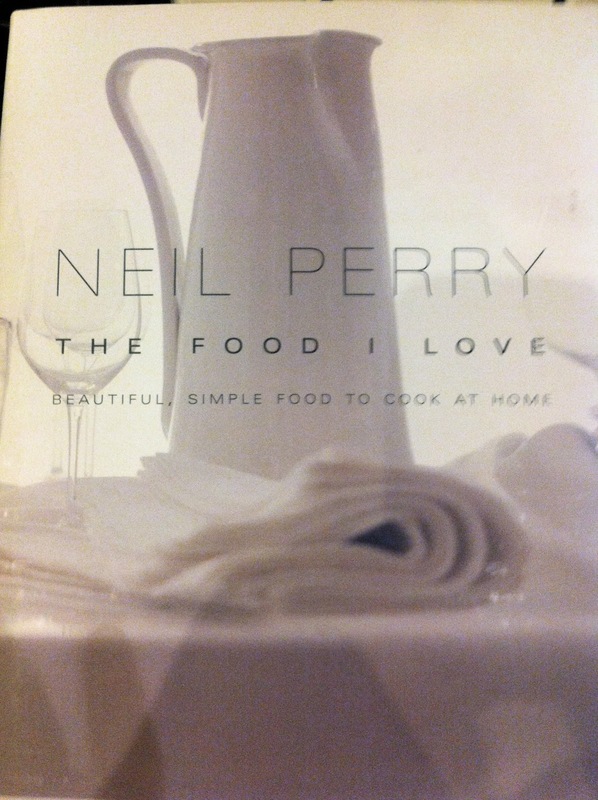 I took down Neil Perry from the bookshelf "The Food I Love - Beautiful, Simple Food to Cook at Home" a very stylish book, photographed with lots of white and grey, quite a bit of reading with each recipe and crisp white pages and grey font. I was happy it was No. 30 on the shelf, and I was happy to take it down. Ashamedly I have not cooked one single thing from it ......until now. Page 30 what delicacy would it hold, not much, page 30 hardly got past the contents page, introduction, and tools and equipment! Then it begins with light breakfasts! After the initial disappointment of what page 30 held, I realised I had never prepared (you can hardly call it cooking) a Bircher Muesli and here was my task to make the original. 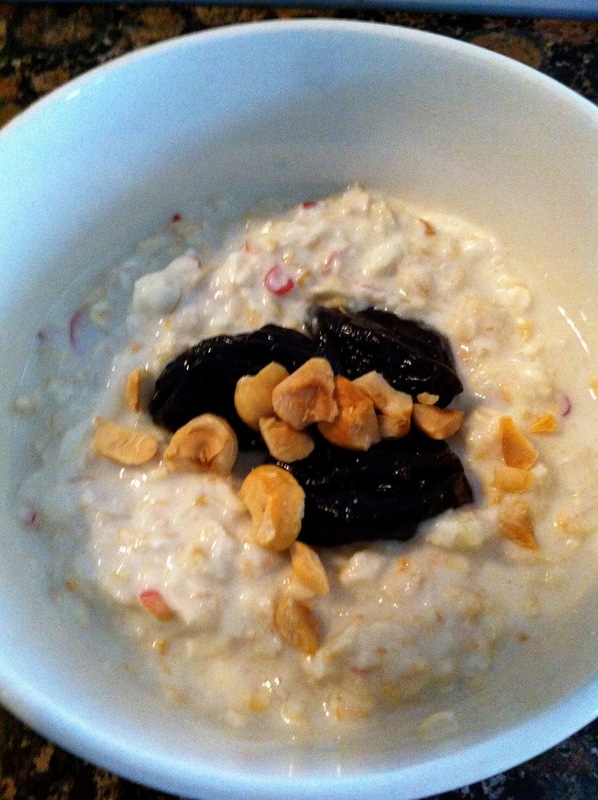 I must add that even though I have never prepared a bircher muesli in my own kitchen this is normally the starter I go for when breakfasting on holiday, you know the scene at the big buffet breakfasts, or on a weekend away staying at a nice hotel. Usually I go for prunes on top (I hear you wincing) but I love it!! Its normally followed with all the naughty, fattening stuff afterwards. But I digress......back to the muesli, Neil tells me this is the original recipe. 1/3 cup roasted hazelnuts, skinned and crushed to serve. 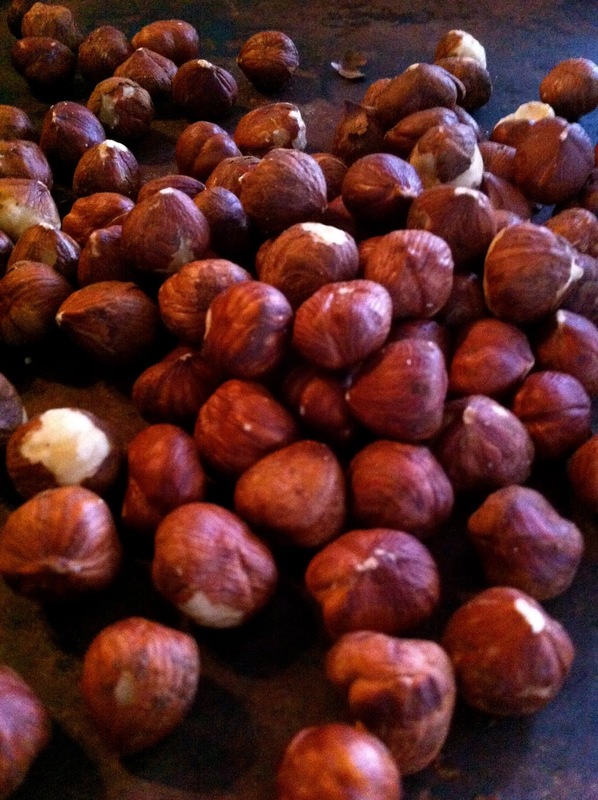 Hazelnuts can be roasted by simply cooking in a preheated oven (180C/Gas 4/350F) until golden brown. Shake the oven tray often to ensure an even roast. Nuts will continue to cook after you have taken them from the oven so take them out when they are light brown in colour. 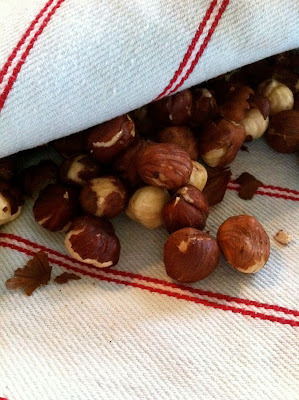 To remove the skins, allow to cool, put them into a clean tea towel, fold in half and rub the nuts inside the tea towel. Tip the nuts into a strainer and let the skins fall to the bottom. Mix oats, lemon juice and 1/2 cup water together in a bowl, cover and soak overnight. In the morning grate the apples including skins and add to the oats. My green apples got used inadvertently for something else so I had to use the sweeter "Pink Lady" variety but I am glad I did as the bircher was a little tart. In future my preference would be to use the sweeter apple, plus maybe a little less lemon juice or a little more honey. 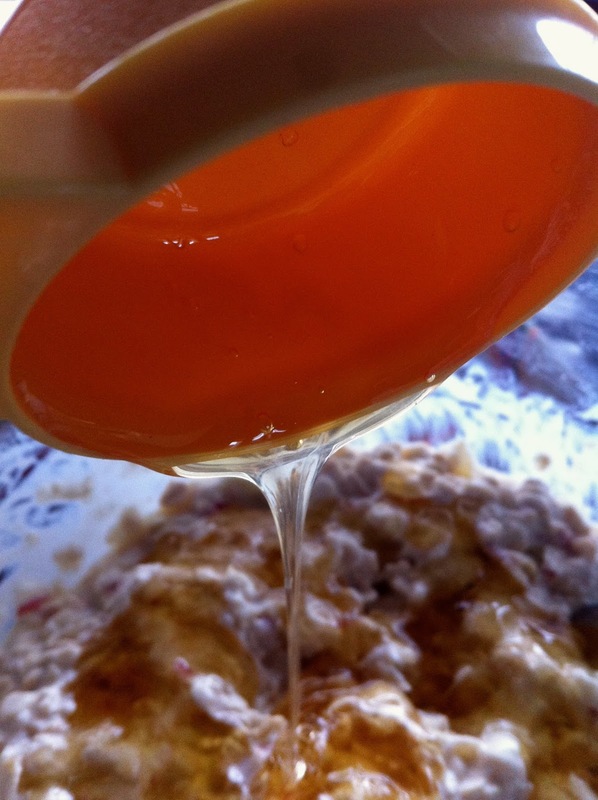 Add the yogurt and honey and mix well. Divide between four bowls and top with fruit of choice and sprinkle with hazelnuts. A good healthy breakfast, simple and good for lowering cholesterol levels. 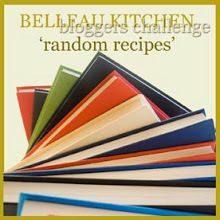 Joining with Dom at Belleau Kitchen Random Recipes Challenge. I love, love breakfasts like this. I go for the prunes too and the dried apricots...I love all those healthy things. I like the sound of the book too...'simple' and 'home' two of my favourite words when it comes to cooking. Thanks for sharing and enjoy the rest of your weekend. Ahh, a girl after my own heart. Have a great weekend too. This particular book is out of print at the moment (don't know why cos its quite lovely) glad I scraped in to RR once again. 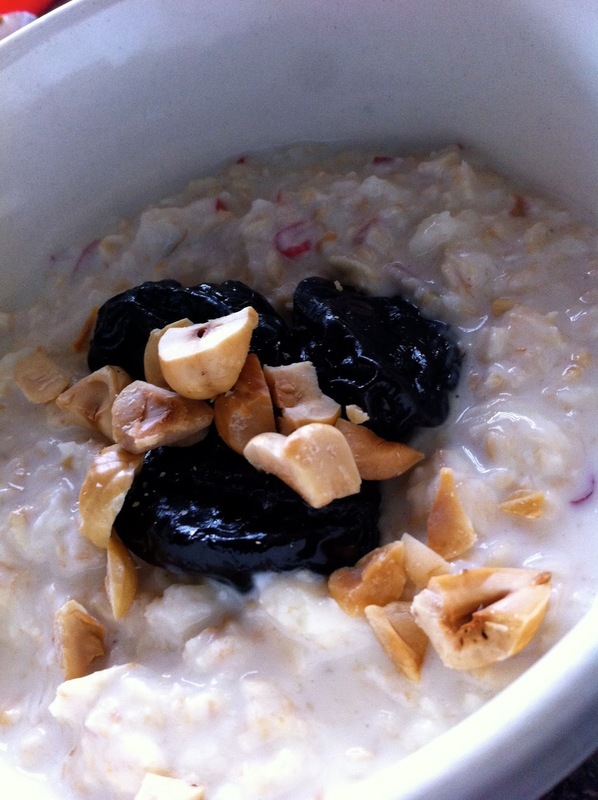 Bircher muesli is my summer time breakfast staple! Really sets you up for the day, provides plenty of variety and super easy to make. It seems this has really hit a chord with a few people. Thanks Kate for your comments. So pleased I have spurred you on. I love it, I have made a big batch and brought it to work. they look at me very strange here when I get out my prunes! Oh YUM! what a great way to start the day with! Yes I know - and to think this has been sitting on my shelf just wanting for RR to prompt me. So happy I found it. Mmm ... looks like a lovely way to start the day. And I'm with you, I'd love it with prunes on top! I bet most of the people who turn their noses up at prunes have never actually tried them. They've even tried to jazz up their reputation here by renaming them dried plums. Nice of you to pop by. Dried plums.....em that could be a bridge too far. Hey good try though. this looks wonderful. 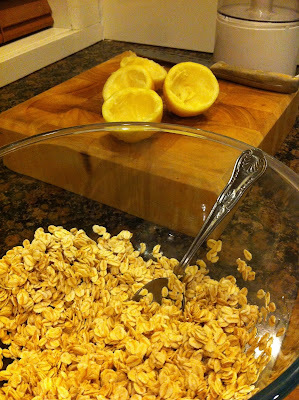 I've never actually made muesli - I love it so this is a "must try very soon" - bookmarked and thanks! You are welcome Mary. I have really enjoyed making my own and I have found the longer it sits the better it gets. I love the original, I started eating it as a teenager and I've loved it ever since! I was a late starter - but I am on to it now! I haven't tried bircher muesli yet but yours does sound good. I'm always just a little unsure but maybe I should be brave one day. If you like porridge or rice pudding you will like this. My husband hates it, but then his porridge has to be wizzed like silk and he avoids rice pudding. It seems its either loved or hated, which one is you?